Special order only. Please allow estimated 3-4 weeks delivery. 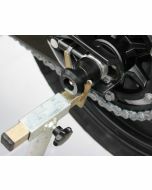 GSG Mototechnik Rear Axle Sliders are engineered to a science in Germany to protect your motorcycle swing arm from costly damage from a crash or drop. 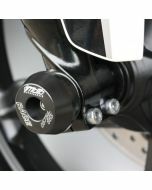 CNC machined from a solid block of delrin, these sliders are effective and look like a factory part. Combine with the complete range of available crash s from GSG Mototechnik for the ultimate reassurance. 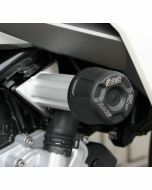 Designed exclusively for the BMW G 310 R.